Event space host etc.venues is to open its first Manchester training, meeting and conference space in October. The new eighth-floor, 20,000 sq ft space at 11 Portland Street will be the firm’s 16th UK venue. The glass-clad and purpose-built space will house up to 300 daytime and evening corporate event-goers. Etc.venues Manchester will feature on-site dining, a bar and its own theatre kitchen. All rooms fitted with hi-spec NEC projectors/screens. 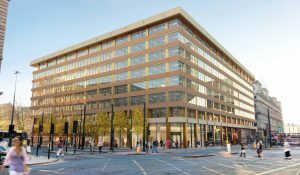 Dominic James, operations head for etc.venues Manchester, said: “Opening 11 Portland Street in Manchester Piccadilly is key to our mission to help event organisers create memorable meeting experiences for their staff and clients. The company, which already has 14 venues in London and one in Birmingham, was recently recognised in the London Stock Exchange Group’s fourth ‘1000 Companies to Inspire Britain’ report.